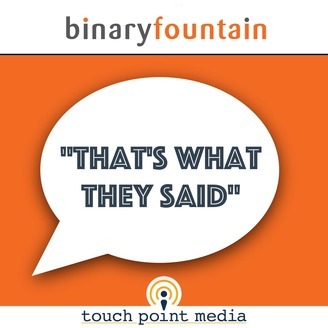 That’s What They Said is a podcast discussing the current trends of online transparency and how they impact physicians, hospitals and health systems. 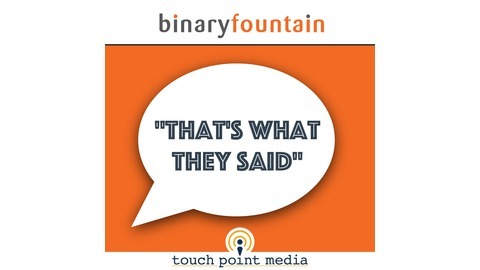 This podcast is made possible by Binary Fountain and is a production of touch point media. Chrissy Daniels who is widely recognized for her pioneering work in the areas of consumerism and physician performance data transparency. Chrissy currently serves as a partner at Press Ganey, and in her current role we asked her to look back at how the transparency space has evolved and what is next for hospitals. Also, be sure to tune in after our chat with Chrissy to hear from Aaron Clifford from Binary Fountain give more context to their study and what he feels these findings mean for all of us in the industry.